This week on Ask Me Monday we dive into the first part of how to knit socks two-at-a-time on a circular needle, and using the Magic loop method. In this episode, I go over prepping your yarn, choosing a needle, casting on, joining the rounds, and knitting the legs of both socks. 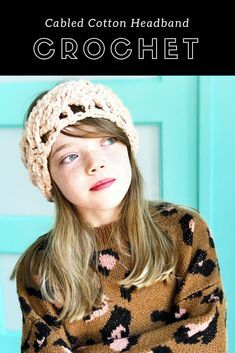 Note: This tutorial will work with any weight yarn and size socks. Please see my Basic Sock Recipe post for how to calculate the number of cast on stitches you need for your desired size and yarn. Knitting socks two-at-a-time requires having two balls of yarn prepped and ready. If you’re working with a yarn with less yardage, you may have to purchase two balls anyway so no extra prep is required. Sock yarn, however, usually comes in a hank or ball with enough yardage in one to make a pair of socks. If this is the case in your situation, then before beginning to knit the one ball will need to be separated into two by (re)winding it into equal parts. Pro-Tip: Using a food or postage scale weigh your yarn before winding, then divide that number in half to know approximately how large to make each ball of yarn. By re-weighing the yarn as you go, you’ll know when the first ball has enough. What’s left will be your second ball! Push the first sock’s stitches down the circular needle’s cord a bit and with the second ball of yarn, cast on the number of stitches required for the Sock B. Push all stitches towards the left-hand needle so the tails and working yarn are farthest away from what will be your working needle. Ok, now you’re ready to start joining rounds! You’ll begin with Sock A, ignoring the stitches for Sock B for now. Just let them hang all free and easy on the cord. Divide Sock A’s stitches into two (or as close to it as possible, if you’re working with an odd number), pulling a length of loop through the opening of the space created by the division. Slide the half of the stitches furthest from the working yarn onto what will become the needle in your left hand. The second half of the stitches will be on the cord, leaving a long length of cord for wiggle room while you knit with the right-hand needle. Work the first half of the stitches in desired stitch (shown in k1, p1 rib), rotate the piece and push the second half of the stitches on the left-hand needle, while also pulling the center loop and readjusting the already knit stitches onto the cord. Finish knitting round. Place one stitch marker to signify that this is Sock A. Push Sock A into a holding position on the cord. 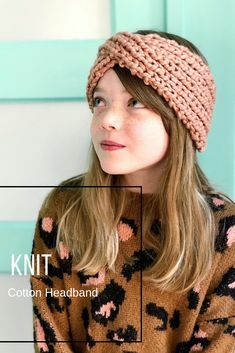 It’ll rest under your right hand — think of it as any knitted work in a row that has already been worked, which would always be on the right side while you worked on the rest of the row. I know, we’re working in rounds here, but you get the gist. Repeat the process for Sock B. Alternating between socks, letting the unused sock rest on the cords while it waits, knit the cuff stitches of each respective sock for an inch or two. Switch to desired stitch pattern for leg (shown in multiples of 4: Rnd 1: P3, sl 1; rep around. Rnd 2: P3, k1; rep around.) for as long as you’d like the leg. Once leg is the length you want: ankle, calf, knee, thigh, you choose — you’ll be ready yo knit the heels! Join me back on August 20th at 12pmCT, for Part 2 of How to Knit Socks Two-at-a-Time, when we’ll cover knitting the heels and gussets. 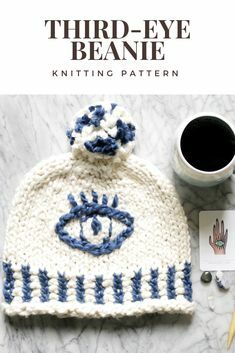 Thanks for the sharing talented ways of knitting ! I’ve done this before and learned from reading instructions and sometimes it’s a boost to see the work in progress.